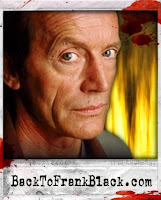 Zone Horror, the UK channel who is airing Millennium season one, has updated its website regarding the BacktoFRANKBLACK campaign and our interview with Frank Black himself, Lance Henriksen. Update your book marks and watch out for season two airing early in 2009! 0 Responses to "Zone Horror promotes BacktoFRANKBLACK"